Last night Microsoft held its ‘small gathering’ in New York but we didn’t hear the pitter patter of tiny footsteps, no Surface Mini tablet was launched. 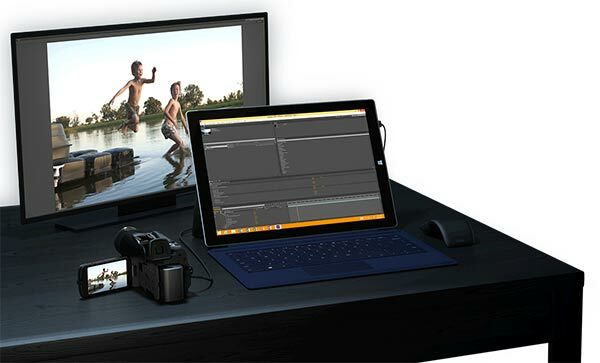 What surprised most people though, was the arrival of the new 12-inch screen equipped Microsoft Surface Pro 3. The Surface Pro 3 is a really sleek and powerful tablet. Microsoft notes that it easily beats the Apple MacBook Air 11-inch laptop slimness – it’s 30% thinner at only 9.1mm thick. This 12-inch tablet is also potentially very powerful; buyers can specify an Intel 4th generation processor from a Core i3 to a Core i7. It’s not just a bigger screen and thinner tablet on offer though as Microsoft says it has significantly improved the Surface Pen and is introducing a host of new accessories to match your Surface Pro 3. First of all I think we should list the specifications to clearly show what makes up a Surface Pro 3. The screen is pretty high resolution for a 12-inch device at 2160 x 1440 pixels and should appeal to customers who get their hands on this tablet. The screen represents a 38 % bigger display than the Surface Pro 2 and offers 50% more pixels. With its new ‘full friction’ hinge the kickstand is better than ever, being able to position it just as you like. At the unveiling last night Microsoft said that the Surface Pro 3 is truly “the tablet that can replace your laptop – packing all the performance of a fully powered laptop into a thin, light and beautifully designed device”. Special mention must be given to the new Surface Pen. Microsoft has ditched the Wacom stylus and gone with an N-trig pen. This is said to bring 256 levels of pressure sensitivity and an experience closer to that of pen and paper .For instance the pen nib is said to feel like it is touching the surface of where you are drawing instead of kind of floating above. 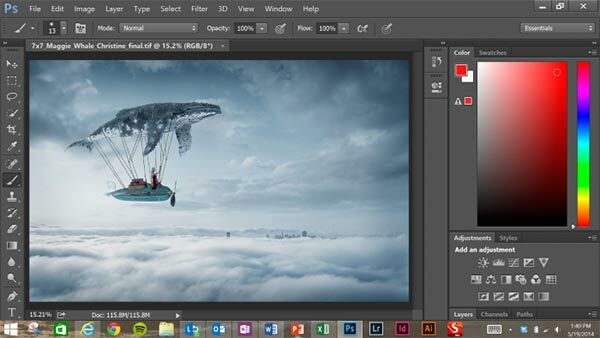 Adobe joined Microsoft on stage to show the utility value of the stylus and touchscreen in an as yet unreleased finger-friendly version of Photoshop CC. The new Surface Pro 3 is available from Microsoft in North America from 20th June, you can pre-order the base model now for $799. UK customers can get the base model, costing £639, starting from August, again you can pre-order now.